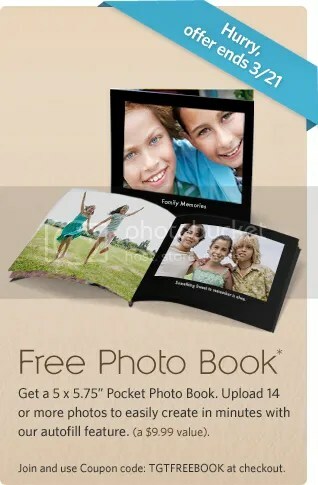 Create a free 5×5.75″ Pocket Photo Book (14 pages) at Target Kodak Gallery ($9.99 value) using the coupon code TGTFREEBOOK and just pay shipping of $1.99. 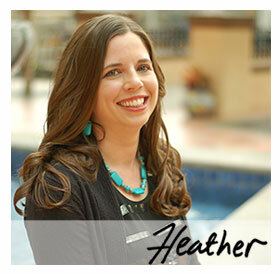 This coupon code expires on Sunday, March 21. Thanks goes to Moms Fun Money for the heads up! Please note you must go to the Target website above, it appears this coupon code is not valid at the Kodak Gallery website. And while you can still use this credit for the Mini Photo Book – the free shipping is no longer available (it now costs $1.99). Yeah, it looks like the totally free option is gone now. Still, $1.99 is a ridiculously good deal. I can't wait to get my book! Yesterday, My mom did the mini photobook and her shipping was free. Today, It is charging me $1.99 for shipping of the mini photo book. I haven't finished the order yet. Hopefully they will use paypal. i still have to pay $1.99 i want to be free.. how do that? I just made my photobook and it is charging me $3.49 for shipping? I have no idea why? Can you do a marta stewart book? anyone know? can we made a martha stewart book? they are the same price. Anyone know? And if you are signing up for the first time you get 50 free 4×6 prints! Thanks for posting this! And thanks for all the other stuff you tell us about! You are great! I did the mini book too, and didn't have to pay shipping. 100% free, what a great deal! THANK YOU! Yes, the coupon code can only be applied once per account. Can you only make one or the other… not both? Thanks!! I just made a gift for sister in law for her birthday this week! I am making a book for my mother-in-law for Mother's day! Thanks for the tip. What a great, nearly free present. Thanks! I ordered a free mini book (with 13 photos) & it was still free. I think you can order up to 20 photos/pages & still get it for free, since it would be under $9.99. Oops! Realized why I didn't pay shipping. I made the mini-photo book and so the code gave me $10.00 off which must have taken care of shipping! A great freebie! Thanks! Hi, Thanks for the great bargain. I just used this code and I didn't have to pay shipping (It took off 10.00 and had free shipping. I had to pay .81 because I had a few extra pages, but that's it). It will be a great gift for the grandparents!